Being a mum is not easy. Everyone assumes that because you have had a baby you know what to do, but babies don’t come with their own manuals. It can be overwhelming trying to decide whose advice to take. Try to remember there isn’t a wrong way to care for your baby, as long as it is safe. New mums often ask what’s the single most important tip for coping with a baby. Without a moment’s hesitation, Gillian Stewart of Little Routine says it’s all about “routine”. A routine needs to have structure with some flexibility. Life goes on, and it is not sustainable for you to stay at home and dedicate every hour to your baby. Feeding when you are out is possible. 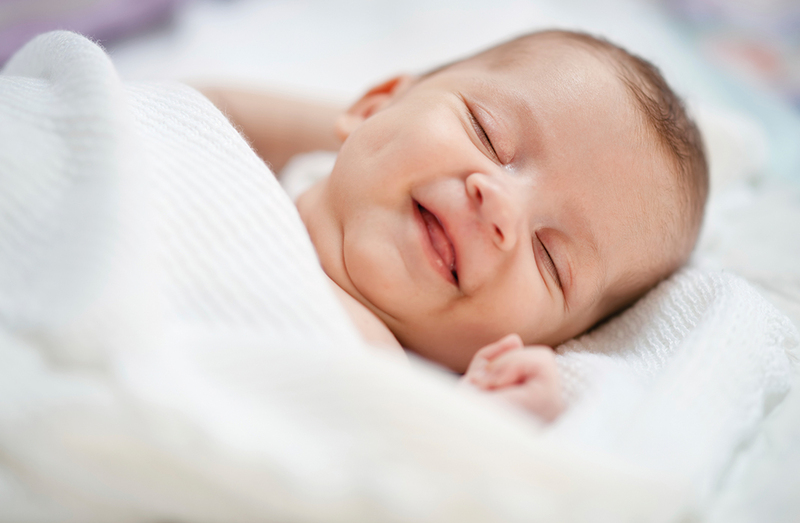 In the early days, it can seem daunting but your baby will learn to nap away from home. If there are siblings, you want to be able to slot your baby into their routine. Most babies will slot into a three-hourly routine if you guide them, but they need time to adjust. Your baby is looking to you for help because he can’t do it alone. A flexible routine will teach your baby what is expected of him, and knowing when feeds and naps are due will allow you to plan your days. It will give you confidence – if you are confident, your baby will feel safe, relaxed and calm too. Babies aren’t born with their body clocks set. If you let your baby make the decisions, he will always choose to party at night and sleep all day. Babies get tired after being awake for about an hour-and-a-half – any longer and they become overtired and find it difficult to settle. All babies need one long stretch of sleep in a 24-hour period and you want this to be at night. The best sleepers are babies who have been taught to self-settle. By putting babies to sleep fed and settled, but still awake, you will be allowing them to fall asleep on their own. Gillian’s golden rule for a peaceful evening is to not let your baby sleep after 5pm. This is the time for baby to be awake, have a snack and enjoy a bath before the bedtime feed and sleep. Other siblings can enjoy bath time, too, and have their story time while you are feeding your baby. Bedtime needs to be consistent, calm and positive. The goal is to have your baby in bed by 7pm. Swaddling may help. Babies are born with the Moro reflex. When startled, they wave their arms uncontrollably causing them to brush their hands across their mouth stimulating the sucking reflex. Babies wake thinking it is time for a feed. Swaddling makes them feel secure and able to sleep peacefully. Good feeds are also key to a successful routine, so wake your baby for feeds during the day. Encourage him to feed well every three hours or so and wake him if he falls asleep. Just because your baby dozes off during a feed, it doesn’t mean he has had enough. If you try to put him down to sleep, he will wake after a few minutes feeling hungry. If your baby is hungry after two-and-a-half hours, you must feed him. I don’t let babies go longer than four hours between feeds during the day. I know that many parents think it is cruel to wake their baby for feeds. It is not. We all need to sleep, not just your baby, and we need it at the right time so that we are able to cope with life’s daily demands. Many of the problems parents encounter with their toddlers and young children stem from lack of routine. Set boundaries and, if you remain consistent, everything else will follow. As your baby grows, you will be able to shorten daytime naps and move feeds on to become family meals. You will have a happy child who is eager to learn and enjoy life, and you will feel confident and in control. Babies don’t judge you or hold grudges. They love you unconditionally, so approach a routine with a positive mind. Be confident you will be doing the best for your baby. You will be rewarded with a happy, content and inquisitive child ready to conquer everything with confidence, trust and huge smiles. 1. Teach your baby to self-settle. 2. Encourage good nap times so your baby isn’t overtired. 3. Wake your baby for regular, good feeds during the day. 4. Avoid napping past 5pm for a 7pm bedtime. 5. Have a calm bedtime at the same time each evening. You may think you’ve mastered your baby’s sleeping pattern and then BAM! the clocks change and your little one’s routine could be about to fly out the window. Paediatric sleep expert, Lucy Wolfe has come up with some top tips to combat the clock changes and ensure your baby’s sleep routine is time-proof. 1. Do your best to prepare your child for this transition by ensuring that they are well rested in the run-up to DST (daylight saving time). Pay specific attention to day time sleep and fill this need as much as possible. 2. Make sure that you have blackout blinds and a healthy sleep-friendly environment to help with going to sleep and to avoid unnecessary early rising. 3. Consider moving your child’s schedule ahead by 15 minutes every day from the Wednesday before the time change. Adjust meals and naps times and of course their morning wake-time accordingly so that by Sunday you’ll be in sync with the new time on the clock. 4. If you prefer: do nothing until the day of the change, waking your child by 7.30am “new time” that morning and then follow your daily routine, addressing meals, naps and bedtime as you always do but offering a level of flexibility – possibly splitting the difference between the old time and the new time. This means that your child is potentially going to bed 30 minutes to one hour earlier than normal; they may struggle as their inner-clock may resist this, but within 3-7 days their system will adjust and your regular timetable will run just fine. 5. Bear in mind that we do not really want the time change to achieve anything, except that by the end of the week we are on the same time schedule that we have always been on prior to the change. Allowing the new time to make bedtime later or creating a later wake time rarely has a positive result, often resulting in nighttime activity and decreased nap durations by day. 6. Remember to wake by 7.30am “new time” each day so that the internal body clock is not disrupting your nap and bedtime rhythm. 7. Treat any disruptions with consistency so that you don’t create any long term sleep difficulties during this transition.